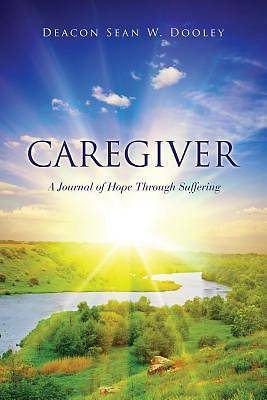 Caregiver is a non-fiction offering from the perspective of caring for a critically ill loved one over the final fourteen weeks of the last 30 months. Learn how to cope with your loved one's illness. Learn how to help your loved one cope with their uninvited malady. Caregiver will provide a look inside the healthcare industry from the customer's perspective. Learn about the potential for the emotional roller coaster ride during long-term hospitalization and how to combat the attack on your sensibilities. Learn what to do and what not to do. Sean W. Dooley experienced several personal opportunities to serve as a Caregiver in his family. Caregiver is a living journal of sharing in a loved one's suffering. The presence provided for personal growth and perspective regarding service to and for others. Sean W. Dooley's experience being the Caregiver for his wife, Kathi reflects a daily struggle to ensure his wife's care by her professional caregivers is the best available and to maintain his sanity. His experience at authoring, co-authoring or revising technical instruction manuals, concept papers, proposals, contractual and procedural documents as part of his 44 year career in the Aerospace Industry, which included forays within the education and healthcare industries provides a fundamental baseline for Caregiver. Sean W. Dooley lives in San Antonio, Texas with his wife surrounded by their children and grandchildren. He is a Deacon in the Catholic Church and works as an independent consultant."